Legal Notices. Easy and Quick to Use. Includes Free E-Signature. A written notice is an effective tool that demonstrates when one party has “officially” notified another party of pertinent information. This is highly relevant across a number of contracts and agreements. For example, a landlord may agree with their tenant that the premises will only be entered after written notice has been posted; without this written notice, a landlord may not be permitted to enter a property under a rental agreement or lease. The above is just one example of when a notice is important. 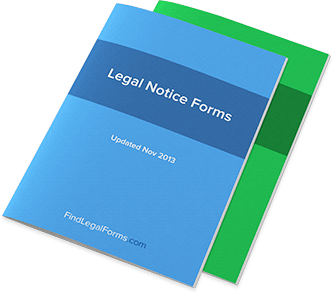 Written notices are relevant across a range of legal issues and business transactions. For example, the scheduled meeting of a board of directors is often made by written notice, formally announcing the date and time of the meeting to ensure that each director has had ample time to prepare, usually per a business agreement. Another example is a Notice of Business Credit Application Approval, officially notifying an applicant that they have been approved for a transaction. The list of types of notices is long and varied. Many jobs entail the regular use of written notices in order to conduct business in the most prudent and lawful manner. Property managers and business owners are frequently required to offer written notices as per their agreements with employees and tenants. The use of written notices does not only satisfy the agreements in which they’re required, but also doubles as proof that notice has been made should the problem later become a legal issue. Document used to lawfully notify a tenant that there has been a breach in a lease that needs to be corrected. Notice of Default Package Notice informing person or entity that they are in default of a contract obligation. Notice of Shareholders Meeting Designed to inform the shareholders of a company that a shareholder meeting will take place, as well as the items on the agenda. Notice to End Rental Agreement by Owner Formal notice that a personal property agreement is being terminated by Owner. Notice to End Rental Agreement by Renter A notice by a renter to the personal property owner that the rental agreement is being terminated.